Woodland burial, also known as green burial or natural burial, is an eco-friendly funeral option that is growing in popularity. Woodland burial is an environmentally-friendly alternative to traditional burials and cremation. It usually takes place in natural burial grounds, or designated woodland burial sites in larger cemeteries. Generally, woodland burial does not include embalming. Some natural burial grounds will not allow embalming, as the chemicals used may pollute the ground. For woodland burial, a biodegradable coffin or casket is used, usually made out of recycled paper, wicker or willow. Woodland burials may not be marked with a headstone; instead they will be identified by a tree or flowers and often become indistinguishable from the woodland. Many natural burial grounds also have a map, so that the bereaved may visit the site of their loved one. Some natural burial grounds do not have maps to individual graves, but the bereaved may consider the whole woodland as a memorial to their loved one. 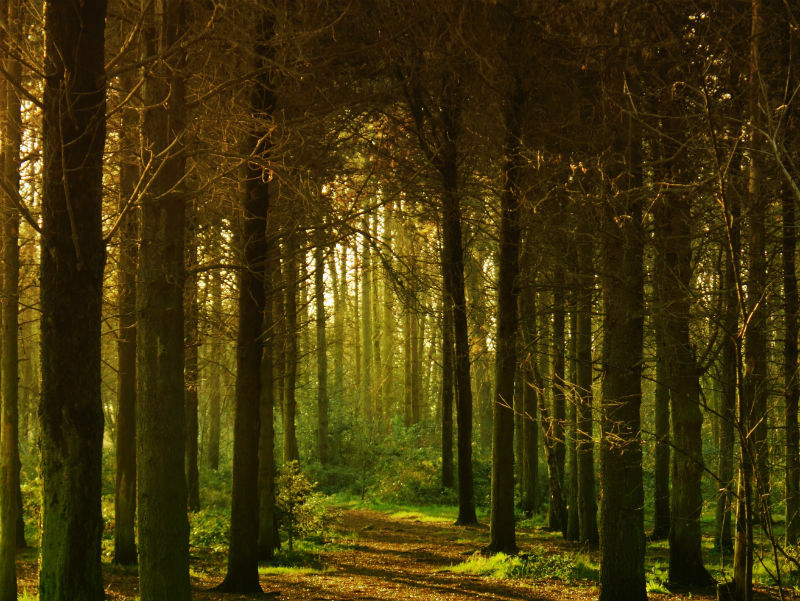 If you would prefer to visit the exact location of your loved one’s final resting place, you may want to carefully consider if a woodland burial is the right choice for you and your family. Where can I find a natural burial ground? The first natural burial ground in the UK was opened at Carlisle Cemetery in 1993. There are now around 260 green burial sites across the country, with that number continuing to grow. Woodland and green burial sites are often unrecognisable compared to traditional cemeteries, as they are managed to look as close to a natural meadow or forest as possible. Your funeral director can help you find a natural burial ground near you, or the Natural Death Centre has a full list of woodland burial grounds around the UK. What kind of coffin is allowed at a woodland burial? Some natural burial grounds will also allow the use of a cotton shroud. Your funeral director can advise you further of any specific requirements or restrictions on the type of coffin allowed at your chosen natural burial ground. A burial plot at a natural burial ground can start from a few hundred pounds to several thousand pounds, depending on the site you choose and where you live in the UK. Be aware that in addition to the cost of buying the woodland burial plot, you may need to pay a gravedigging or interment fee. The way these fees are structured can differ between natural burial grounds. Your funeral director should be able to talk you through all the costs involved in arranging a woodland burial. Some natural burial grounds offer the choice of adding a memorial tree to mark your loved one’s final resting place. The cost of trees may vary depending on the type of tree; for example, an English Oak is likely to be more expensive than a Crab Apple tree. Remember that the overall cost of the funeral will depend on what other options you choose, such as floral tributes, funeral transport and celebrant fees. If you are considering a green funeral for your loved one, speak to your funeral director for more information. You can compare funeral directors now to find funeral arranging services near you.